The determination of blood type is an essential process that ensures animals will benefit from transfusion support. Nowadays, a dog or a cat has a significant probability of being transfused once or more in their lifetime. 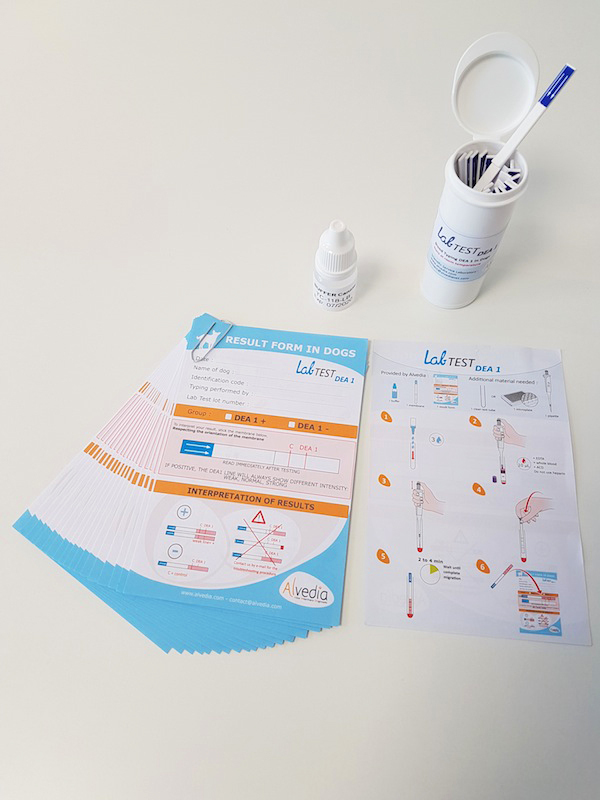 Basic blood typing is essential to perform these first and subsequent transfusions as safely as possible and also to make the best use of the donated blood. The system is based on the migration of red blood cells on a membrane. Monoclonal antibodies specific to each antigen (DEA 1 in dogs, A/B in cats, A/O in pigs and Ca in horses) have been incorporated on the membrane. Theses antibodies will retain positive antigens (DEA 1 in dogs, A/B in cats, A in pigs and Ca in horses). 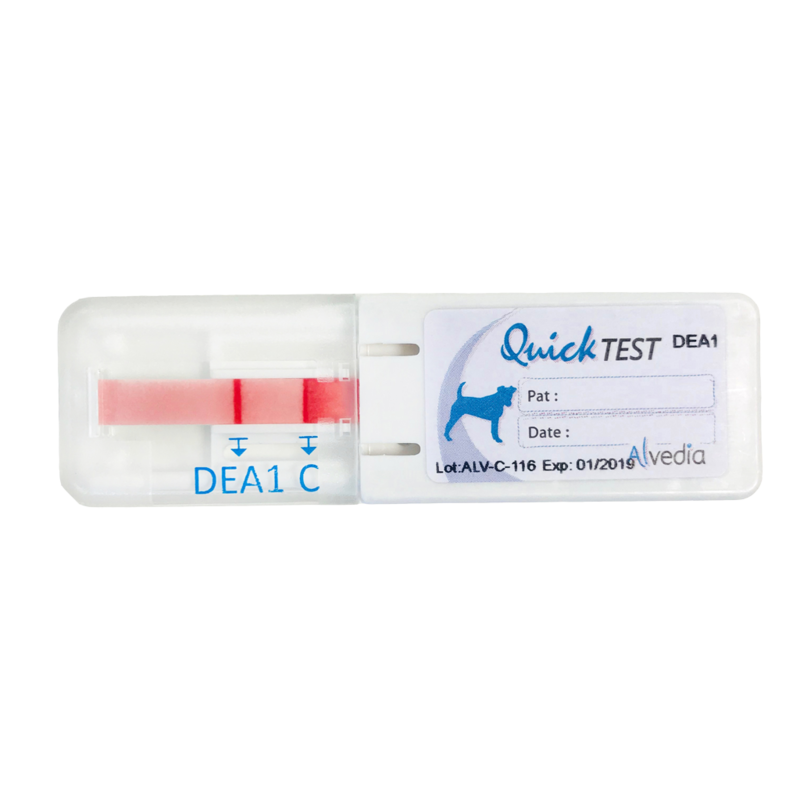 A positive result is characterized by the presence of 1 or 2 red lines in front of the A and/or B for the feline QuickTest or a red line in front of DEA 1 for the canine QuickTest. 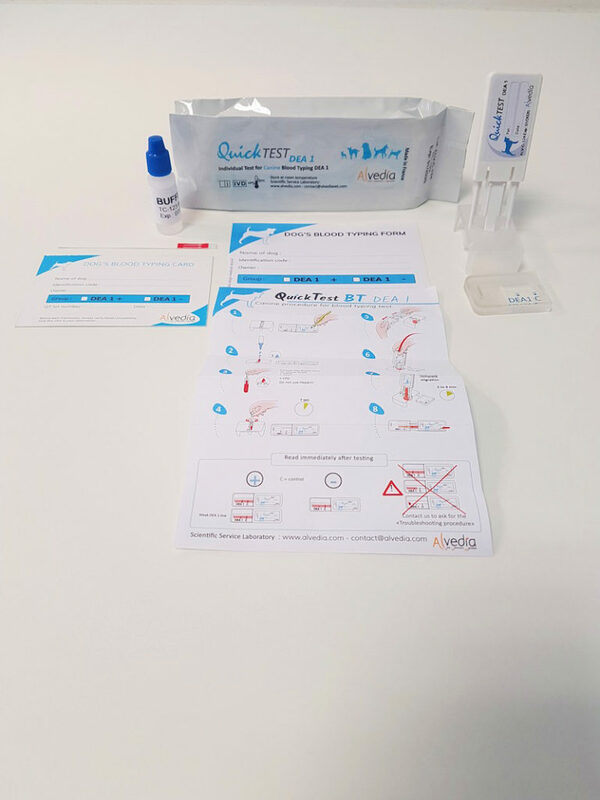 A positive result is characterized by the presence of a red line in front of the Ca line for the equine QuickTest. The control line (C) must be positive; this signifies that the test has run successfully. 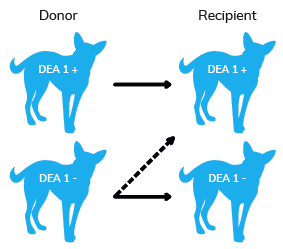 In dogs, the determination of DEA 1 antigen is strongly recommended before any blood transfusion to avoid a potent alloantibody response against this antigen and to avoid an acute haemolytic transfusion reaction. The dog is DEA 1 negative. The dog is DEA 1 positive.